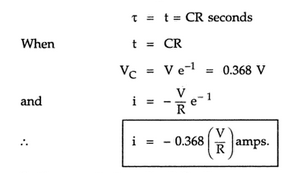 Now consider that a capacitor 'C' is being discharged through a resistor R by closing the switch at t = 0. 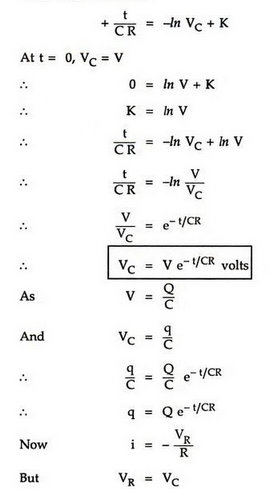 At the time of closing the switch the capacitor 'C' is fully charged to V volts and it discharges through resistance 'R' and current through resistance flows in opposite direction to that at the time of charging. As time passes, charge and hence the capacitor voltage VC decreases gradually and hence discharge current also gradually decreases exponentially from maximum to zero. The variation of capacitor voltage and discharging current as a function of time is shown in the Fig. 2. As direction of current is opposite to that of charging current, it is mathematically considered as negative. Hence graph of current against time is in fourth quadrant. 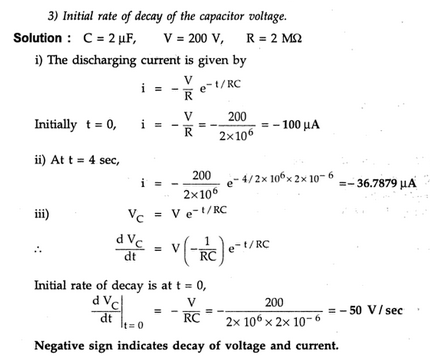 Note : The negative sign indicates that the direction of the discharge current is the reverse of that charging current. Similar to the previous definition, at the time of discharging also the term CR is called as time constant denoted by Ԏ.
i) The time required for capacitor voltage to fall to 0.368 of its initial maximum value on discharge from its initial maximum value. 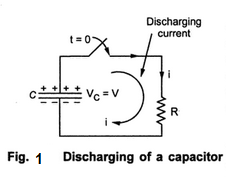 ii) The time required during which the capacitor discharge current falls to 0.368 of its initial maximum value. 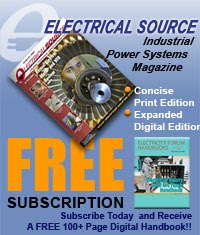 The charging and discharging of a capacitor under the conditions discussed is said to be exponential. The 'time constant' (Ԏ) of the circuit has following significance. i) The whole charging or discharging process can be considered to be completed in a time equal to 4 times the time constant and the current falls to insignificant value (Theoretically the process takes infinite time). 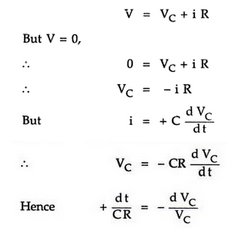 ii) The charge current falls to 36.8% of its initial value in a time equal to time constant (Ԏ) and to nearly 1.8% of initial value in t = 4 Ԏ.
iii) The capacitor charges to nearly 63.2% of its value in t = Ԏ and nearly 98.2% of the final value in t = 4 Ԏ provided it is initially uncharged. 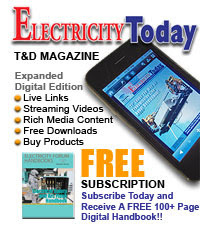 iv) The capacitor discharges to nearly 36.8% of its initial value in t = Ԏ and nearly 1.8% of its initial value in t = 4 Ԏ.